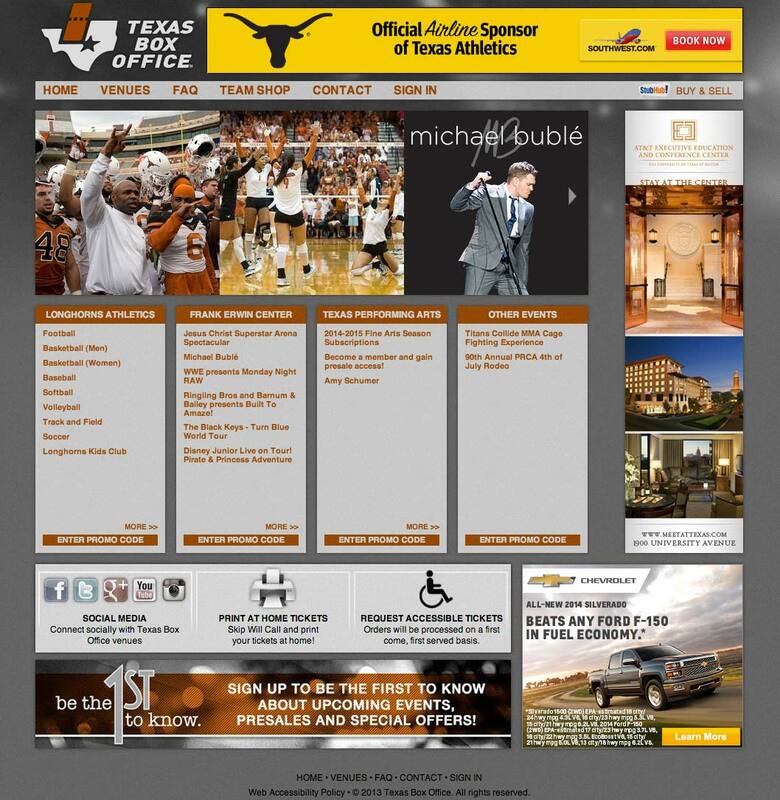 This website was a collaborative project developed for Texas Box Office, the ticket-seller for events at the Frank Erwin Center, Texas Performing Arts, Longhorns Athletics, and Bell Country and Travis County Expos. I worked as part of a team with a web developer, other designers, and Frank Erwin Center marketing staff, and we collaborated with representatives from each venue to get feedback on our designs and progress. It was a large project requiring good communication between departments and venues, and demanding a high level of coordination and information organization.